Located in Cascavelle, Mauritius, Casela World of Adventures is the most-visited attraction in the Indian Ocean, offering interactive visitor experiences with native and non-native animals, as well as a variety of outdoor activities and amusements. The Republic of Mauritius is a 2,040-square-kilometer island country in the Indian Ocean, located approximately 2,000 kilometers off the southeastern coast of Africa. Though archaeological evidence indicates that the island was visited frequently by ancient sailors, its first recorded modern visit was in 1502, when it was named Dina Arobi by Arabian sailors. After occupation as a Dutch settlement in the 17th century, the island fell under French control in 1715 and became a major hub for the French East India Company and a major center of slave trade activity. After the island was ceded to British forces in 1810, the 1814 Treaty of Paris was ratified to ensure significant human rights and cultural freedoms for the island’s citizens. The island’s economy was centered around the sugar cane industry throughout much of the 19th century, though much economic activity shifted to tourism in the 20th century, particularly following the island’s declaration of independence in 1968. Today, the Republic of Mauritius encompasses the main island of Mauritius and the nearby island of Rodrigues, along with several smaller outer islands, including the disputed Chagos Archipelago and Seychelles territories. The country is a member of the Commonwealth of Nations and is known as a major center of multiculturality and democracy within the African Union. Its largest city, Port Louis, is one of the most prominent ports and financial centers in Africa and offers a variety of cultural attractions such as the Jardin de la Compagnie public gardens, the Caudan Waterfront district, and the Champs de Mars racecourse. Casela World of Adventures, located in the western region of Mauritius near the towns of Flic en Flac and Tamarin, opened to the public in 1979 as a bird sanctuary. The facility evolved into a full outdoor wildlife and adventure park throughout the late 20th and early 21st centuries, featuring a variety of up-close visitor experiences with native and non-native animals. Today, Casela Nature and Leisure Park is the most-visited attraction in the Indian Ocean region and is open to the public year-round, with the exception of major international holidays. The park is located on the island’s western side near the towns of Flic en Flac and Tamarin, spanning a 25-hectare plot of land near the island’s sugar cane fields and Rempart Mountain. The park’s name is believed to have been derived from the Mauritian word lakaz-la, which means “the house.” Since 2015, the park has been partly sponsored by Princess Stephanie of Monaco. As an accredited Pan-African Association of Zoos and Aquaria facility, the park offers a variety of outdoor activities, including up-close visitor experiences with native and non-native animal species. More than 1,500 birds belonging to over 150 species are showcased throughout the park, along with a wide variety of native and non-native mammals, amphibians, and reptiles, including lions, monkeys, giraffes, pygmy hippos, and giant turtles. A wide variety of native and non-native plant and flower species are also showcased throughout the park. All visitor tours begin at the park’s Discovery Center, which offers periodic daily showings of a 4D cinema film presentation about the region. Several animal experience areas are offered, including a Pygmy Hippo Interaction exhibit, which allows visitors to interact with the park’s resident hippos, Luna and Athena, and a Big Cats exhibit, which offers up-close and drive-through interaction with park lions, tigers, cheetahs, and caracals. A Giraffe Feeding zone is also offered, along with a Bird Park with a walk-through aviary. An African Safari Tour is available by safari bus, quad, or Segway scooter, showcasing animals such as ostriches, zebras, antelopes, and white rhinoceroses. Other outdoor activities at the park include a Mountain Arrival zone, which features two zipline courses and a 45-meter-high canyon swing jump, and an Avalanche Mine zone that offers tubby jumps and slides. A Tilapia Fishing zone allows visitors to fish for half-hour intervals, and a Mud Karting zone offers solo and pair racing experiences on a 450-meter track. For young visitors, a Petting Farm, Nature Kingdom Kids’ Playground, and Camel and Horse Rides are offered. The park’s restaurant, Le Mirador, serves a variety of Asian, European, and African dishes and offers a children’s menu. Three shopping areas are located throughout the park, including the Safira at Discovery Center. Daily animal talks are also offered at the park, and educational workshop programming may be scheduled for tour groups, including curriculum-incorporated field trip opportunities for school students. Ticket packages for attractions are sold as part of several tiered packages, though visitors are advised to plan an entire day at the park to enjoy as many activities as possible. Ticket packages include an Explorer Adventure package, which offers access to the park’s Discovery Center, ziplines, and drive-through big cats area. 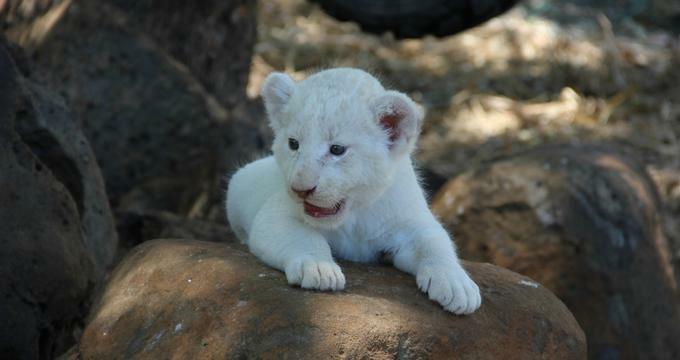 A Safari Adventure package adds lion interaction activities, while a Family Adventure package provides access to family attractions such as the park’s petting zoo. Additional outdoor thrill activities are included as part of the Xtreme Adventure package. All visitors should be advised that activities may be closed during inclement weather events.